Lacamas Lake is extremely popular for Stand Up Paddle Boarding, kayaking, boating, tubing, rubber rafts, etc. If it floats on the water, you’ll see it at Lacamas Lake! A popular place for both power boats pulling skiers and jet skis, there’s still plenty of no-wake zones and quiet channels for paddlers wanting to avoid the wakes & boat traffic. 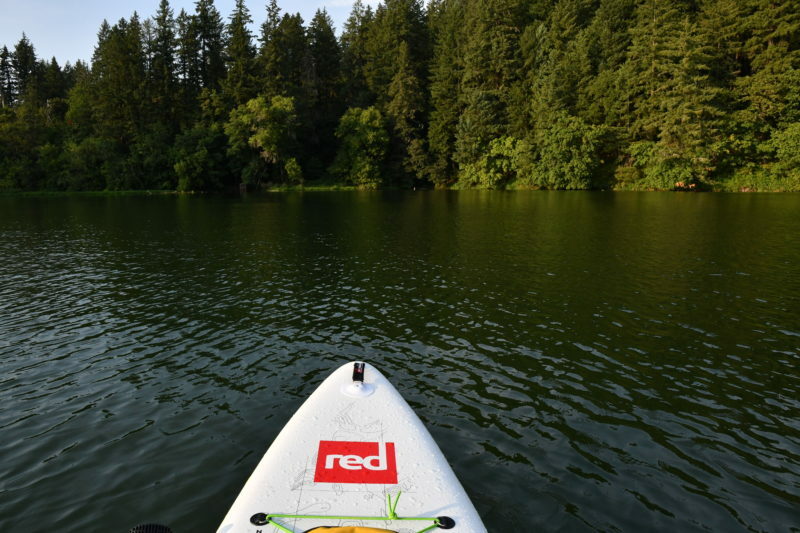 Especially notable for paddlers is Round Lake, which is connected to the main body of Lacamas Lake via a water channel that runs under SR 500. 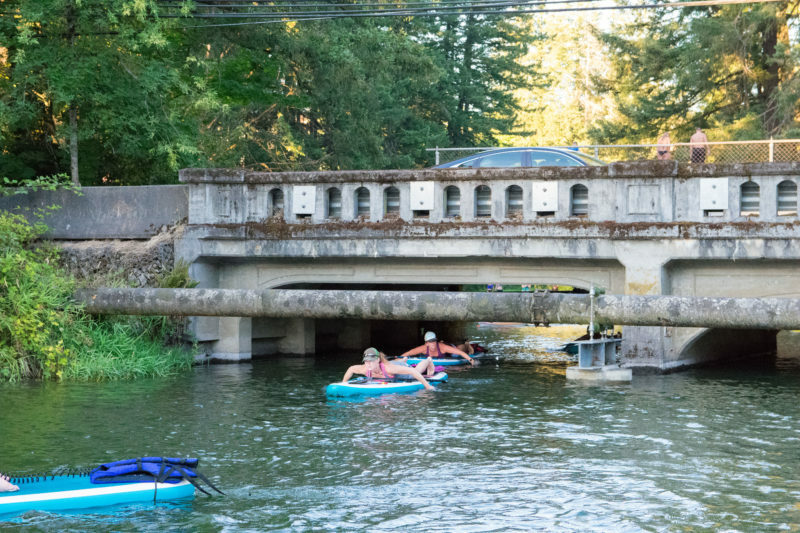 To access Round Lake from the main body of Lacamas, take a right hand turn leaving the main boat launch at Camas Heritage Park and paddle towards the bridge over SR 500. Once you reach the bridge, it’s time for some Limbo action (or just lay down on your board) and paddle under the bridge to reach Round Lake. Watch out for kids jumping off the bridge on the other side! 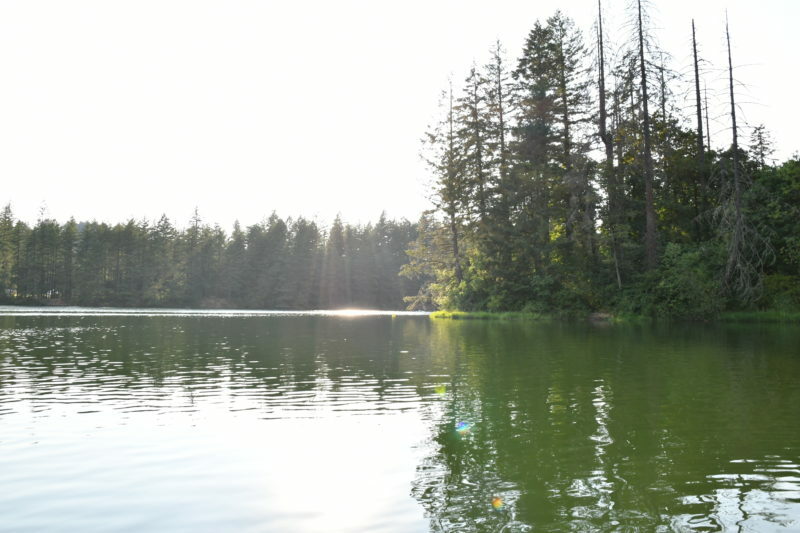 Round Lake is surrounded by the gorgeous wooded areas of Lacamas Park. The park includes a trail (on land) that goes entirely around Round Lake and crosses the approx 75 foot long dam that controls the water levels of both Lacamas & Round Lakes. There is a total of 3 public access points to launch your stand up paddle board into the lake. 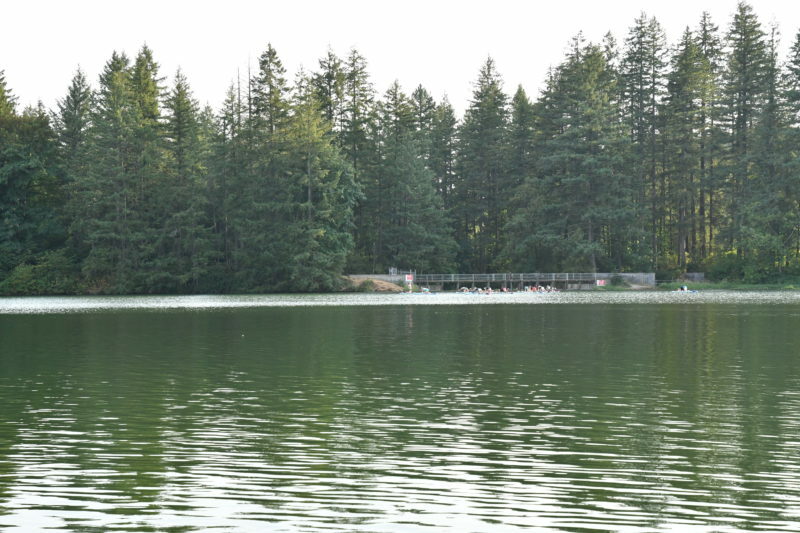 Lacamas Lake has 2 public boat ramps; one on the North side and the more popular for paddlers southeast launch at the Heritage Park. There is also an entry point directly into Round Lake off NE 35th Ave with a gravel parking lot and somewhat mucky launch site. Heads up, the launch at Heritage Park is the only site with public restrooms. 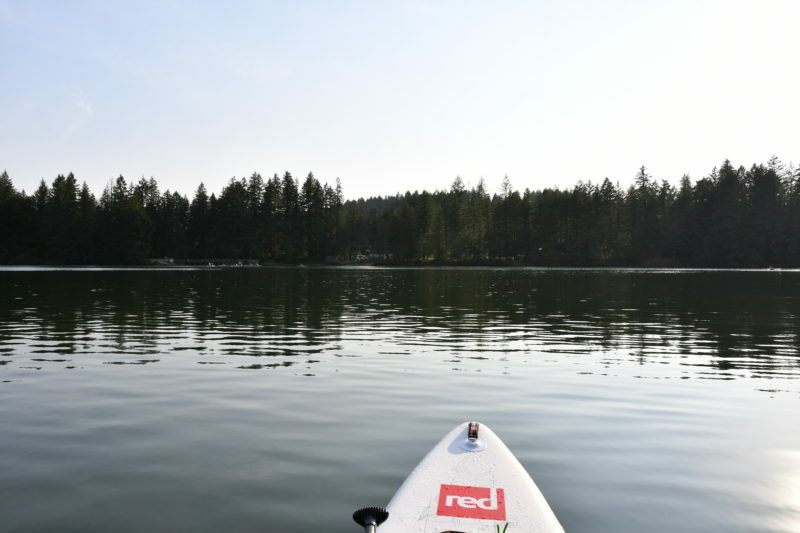 Lacamas & Round Lake make for a beautiful paddle destination in the Camas / Washougal area, and the surrounding Parks are perfect for a family picnic or even a Mt Bike ride around the lakes! Although the lake is very popular, there is almost always ample parking, and if the main lots are full there is always grass parking with just a little more walking distance to the launch. For those who enjoy fishing off their SUP boards, the lake is known for brown trout, rainbows, largemouth bass, crappie, bluegill, yellow perch, catfish, and even the occasional sturgeon. Note: Difficulty rating is based on the smaller section of the lake off the newer paddle launch near the bridge and Round Lake on the other side of the bridge. The main body of Lackamas Lake can get rough from the high volume of boat traffic!